Everyone deserves a safe and healthy home. That’s our fundamental belief. We help low-income homeowners with critical repairs, and we help seniors with modifications they need to age in place. Members of our community, our neighbors and friends, worked hard throughout their lives to own their homes. Now, they can’t keep up with critical repairs and upgrades. There are so many reasons people need help with their homes. Illness. The loss of a spouse. Growing older. No matter the challenge, there’s always hope. 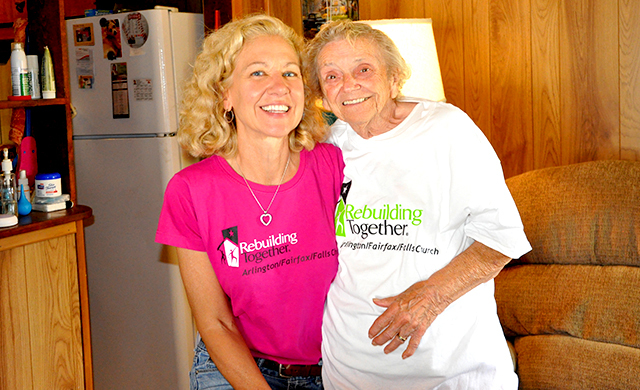 Rebuilding Together-AFF gives special priority to seniors, people living with disabilities, families with children and veterans. Most people want to stay in their homes as they age. They raised their families and built a lifetime of memories there. They want to grow old in the comfort of a place they’ve known for decades. Sometimes though, these beloved homes aren’t safe. Or their design makes it hard for seniors to have the independence they once enjoyed. 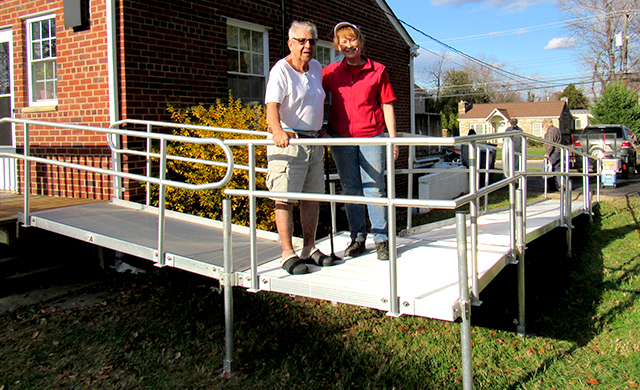 For many seniors, it’s safer and more cost-effective to modify their homes than it is to move. Our teams make staying in place possible by improving homes for accessibility and reducing the risk of falls. This way, seniors can safely stay in their homes. Most homes were not built with the needs of people with disabilities in mind. This puts someone’s safety and independence at risk. Families and caregivers often struggle to help. These houses need accessibility modifications, custom designed for each person. We retrofit homes to make them accessible and safe for individuals and families. Children need safe homes and stability as they grow up. When parents struggle to pay the bills, children often feel the stress. There may not be enough money for food or healthcare, let alone home repairs. We pay special attention to controlling asthma triggers, such as old ratty carpeting that collects allergens. And we help with overdue maintenance, which sometimes gets squeezed out of tight budgets as families struggle to survive. People who bravely served our country sometimes need a helping hand. 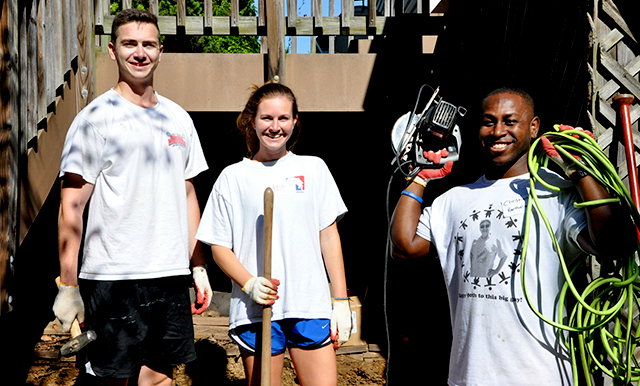 We repair homes for retired and active duty service members and their families in difficult circumstances. Whether these homes need simple upgrades or life-saving repairs, we’re here to help. 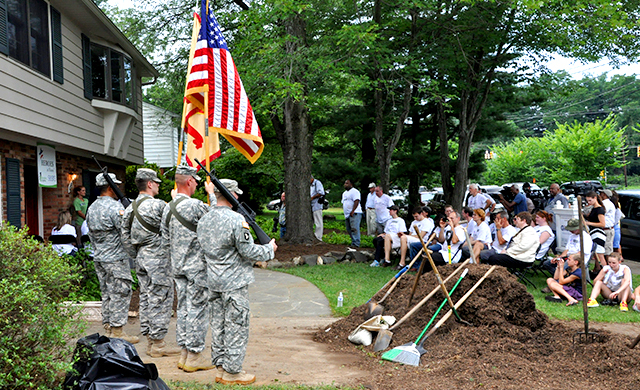 Rebuilding Together also supports nonprofits that provide housing for our veterans. Interested in learning more about our services that we offer?